Home - Andy Esquivel's Scams - Con-artist tries to profit from Erica Forney’s death! Con-artist tries to profit from Erica Forney’s death! Of all of Andy Esquivel’s fake inventions, this one has to be the most pathetic! 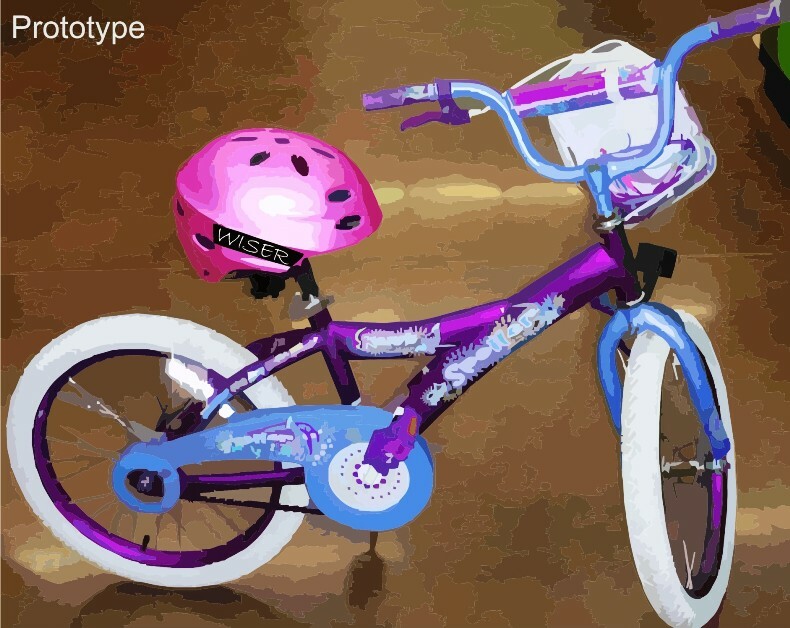 It’s a bicycle helmet that Andy bought from Walmart, photographed, added a sticker to with a cheap photo editor, and then tried to pass off as a serious invention that he claims to be donating to a dead child in Colorado…sick! Here’s the product description in Andy’s own words. There are two Buttons on the helmet: (1) MY & (2) SUNSHINE. As the child pushes the buttons together, the lock mechanism that holds the helmet to the bike seat releases. Both buttons must be pushed at the same time. When pushed correctly, a tune to ‘You are my sunshine’ plays as the child is putting on the helmet . A built in sensor then recognizes that the helmet is in place on the head of the child and turns the music off! This was developed for and will be donated to Karma Cause Erica Forney Foundation! Using the death of a child to pump up your own scams is disgusting. Doing so in this cheap a fashion is just plain wrong. Andy Esquivel should go to jail for this disgrace alone, but the jury likely won’t hear the story because Andy will be too ashamed to share. Andy will always be a dirt bag!!!! He needs to spend the rest of his days locked up!